On Thursday, the Bureau of Labor Statistics released it’s first in-depth look at non-traditional work in the United States since 2005. It found that traditional jobs still reign supreme. For years, Americans have taken advantage of the rise of freelance work and the perks that come along with it -- such as a flexible schedule. This caused policymakers to worry that the traditional workplace, and the associated benefits, would disappear. 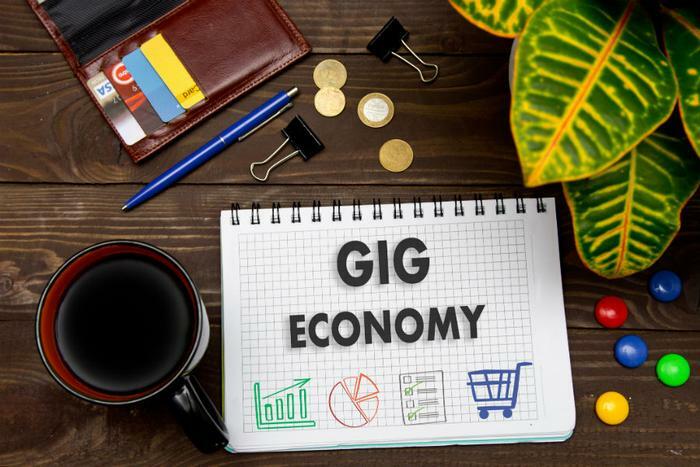 Proponents and critics have continued to argue over the merits of this “gig economy,” despite an apparent lack of data. Based on the survey’s results, only around 10 percent of Americans in 2017 were employed by what the government calls “alternative working arrangements.” This revised number is actually a decline from 2005, when 11 percent of workers worked in an occupation that’s part of the gig economy. Despite what appears to be a drop off in alternative working arrangements, Strain noted various factors the survey didn’t take into consideration. For starters, the government’s numbers don’t include people who do gig or freelance work to supplement traditional work. The survey also doesn’t consider those who participate in income-generating endeavors, such as renting their homes on Airbnb, which wouldn’t necessarily be considered work. A survey done by the Federal Reserve in late May found that nearly one-third of Americans are performing some kind of gig work, either exclusively or in addition to traditional work. The Bureau of Labor Statistics’ survey also didn’t factor in companies that subcontract work to employees. In those cases, those employees aren’t considered to be alternative workers, but they do earn less and receive smaller benefits. Abraham noted many employees tend to struggle to classify the work they do. She said that some Uber drivers might consider themselves employees of the company itself, though they are legally identified as independent contractors. However, she also mentioned that if alternative work was really on the rise, it would’ve shown up in this latest survey. Despite this latest survey finding a slight decline in alternative workers, a 2016 report from the Staffing Industry Analysts (SIA) found that employers spent $729 billion on contract workers in 2015, with 29 percent of all U.S. workers performing some kind of gig work that year. Betterment -- a financial services company -- released a survey in May that showed how the gig economy could potentially change the look of retirement for many people. Sixteen percent of survey participants said they would continue in the gig economy after a traditional retirement age. Additionally, many of these individuals find that working in the gig economy is a good way to supplement their income to save for retirement. As of right now, the bill is simply an idea for the future; it has garnered much support from various labor unions, but it is opposed by many Republicans.